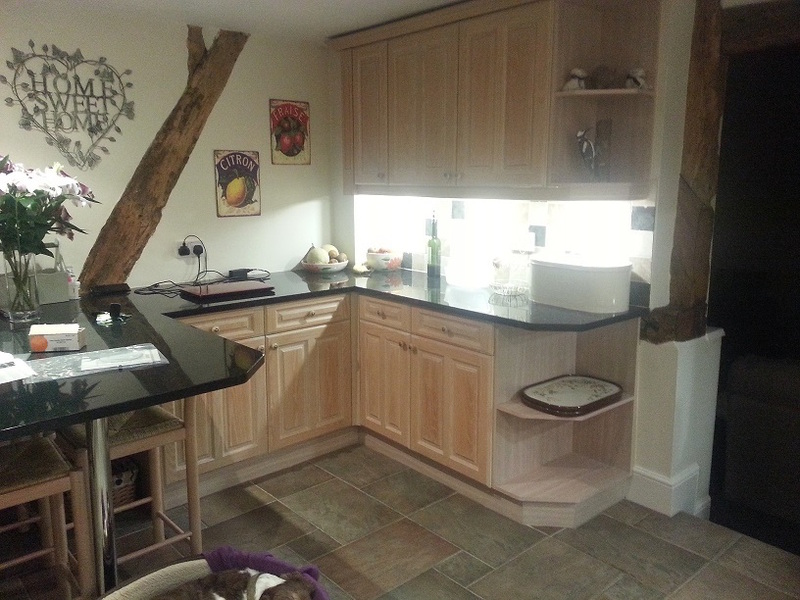 Hand Painted Kitchen – Hanbury, Worcestershire. Being the Traditional Painter for the West Midlands, this project in Hanbury, Worcestershire, fell within my geographical territory. Inherited from previous owners, the “limed” finish wasn’t to my client’s liking. 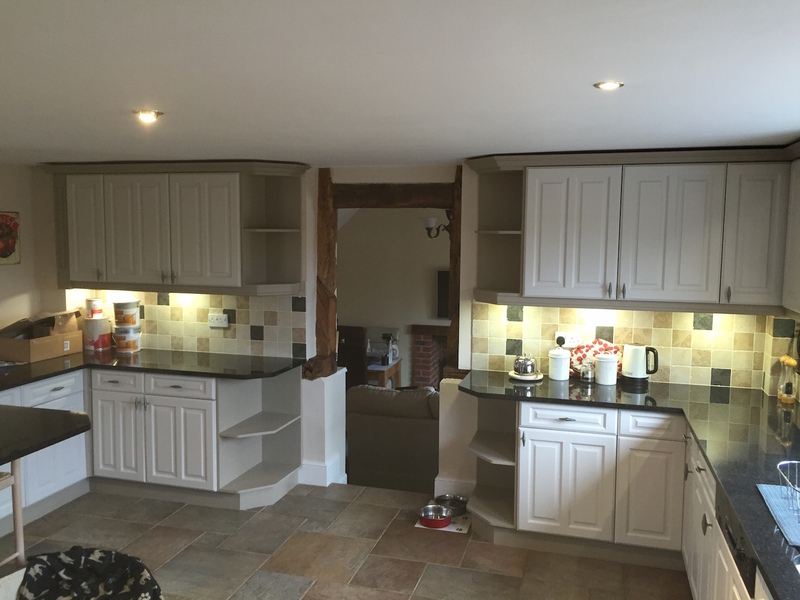 After being initially contacted, I was sent photographs of the kitchen – I ask that I’m sent images of each elevation and a count of doors, drawers and notable features such as islands, plate racks and glazed units, etc. Whereupon, I produce an accurate quotation for the entire project. 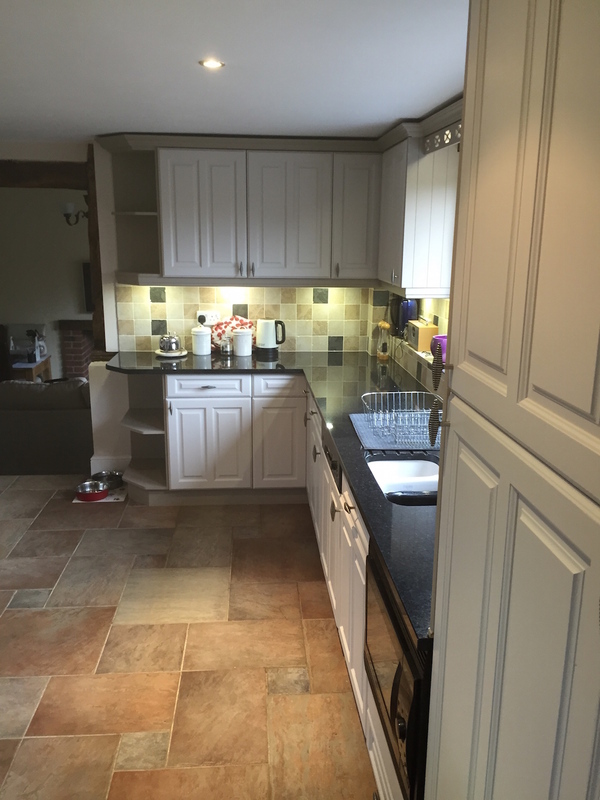 The kitchen itself had solid wood doors and a laminated carcass – a perfect candidate for Hand Painting; if prepared and primed correctly… this is key, in my opinion. 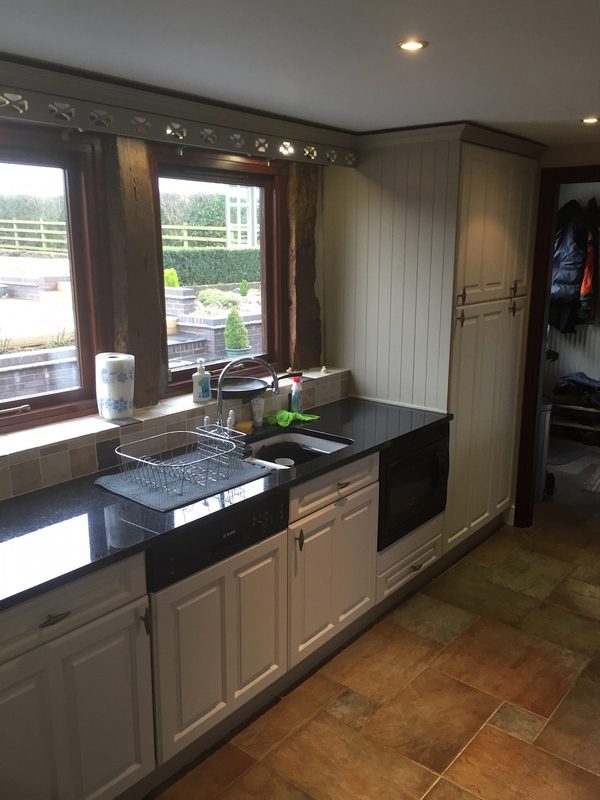 I use a variety of methods and products, including “dust-free” sanding to create a perfect substrate for my preferred Tikkurila paints to adhere to. 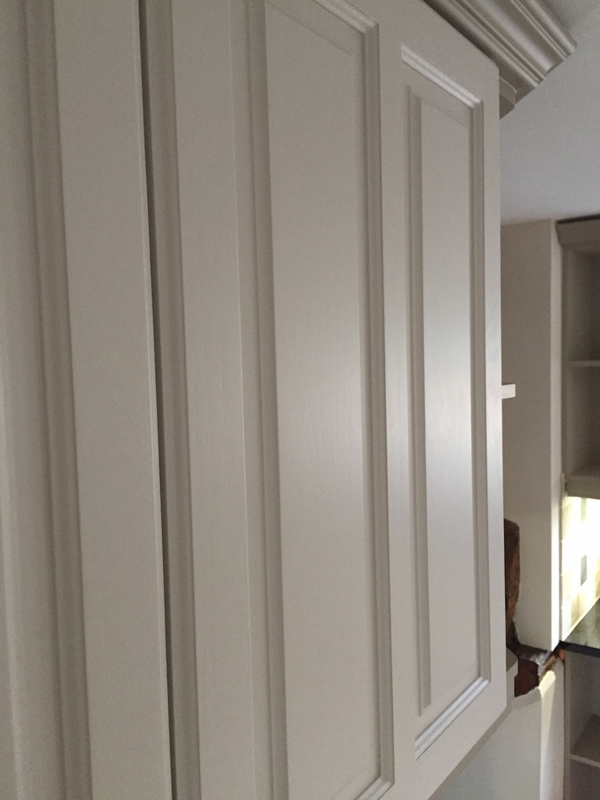 Colours chosen were equivalent to “Rolling Fog Dark” for all carcasses and contrasting “Rolling Fog Mid” for doors and drawers, in a matt finish (5% sheen) – Tikkurila Helmi. 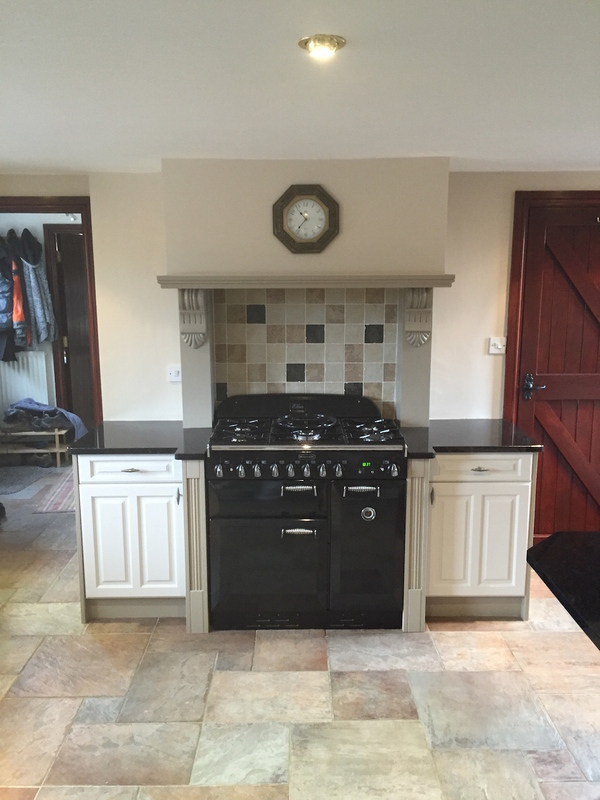 It is much more cost effective to have your kitchen Hand Painted rather than replaced, in this project my clients decided to replace their existing cooker with a rather smart Rangemaster oven, with some of their remaining budget. 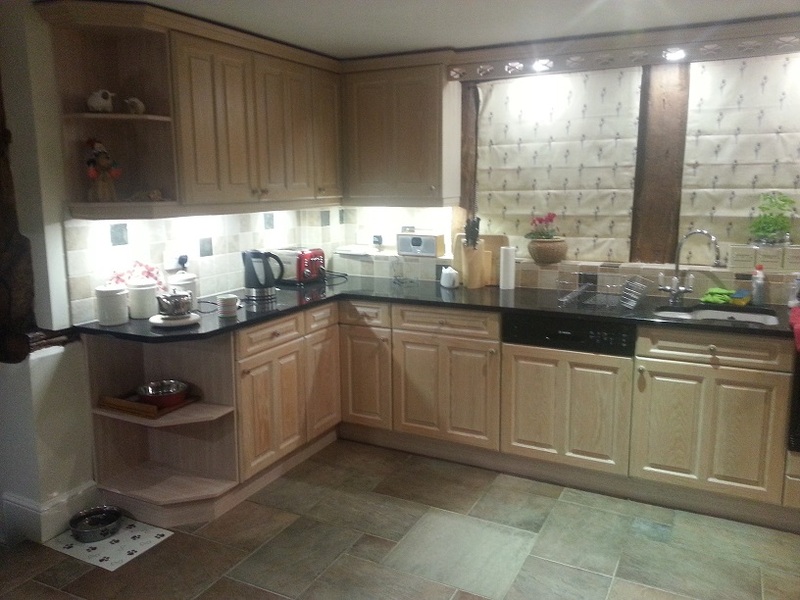 Often choosing to Hand Painted an existing kitchen, can be as low as 10% of the cost of a total replace. 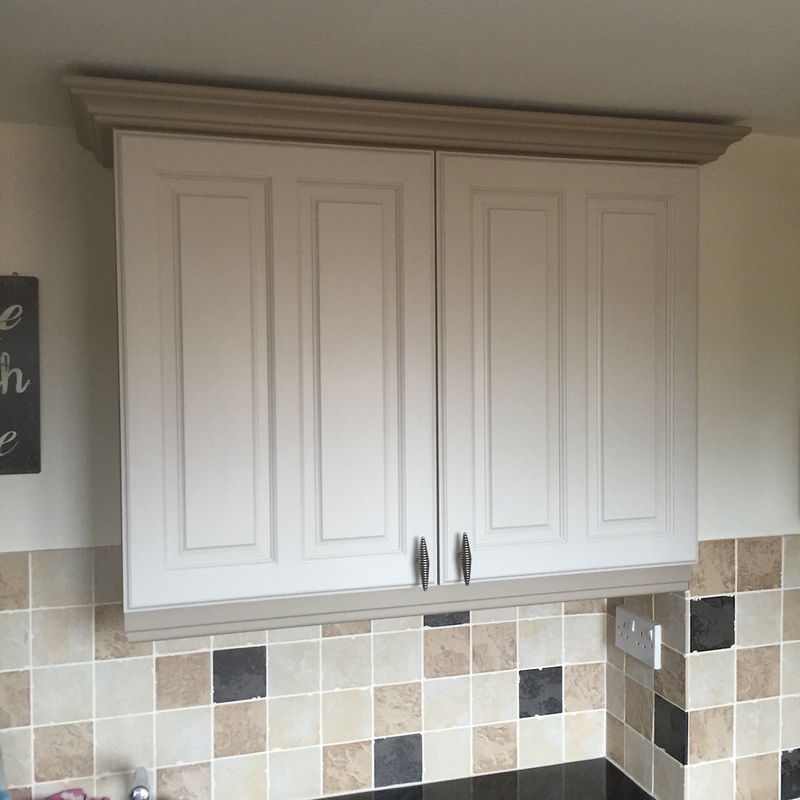 For further information about my work and how I go about it, please visit my website; handpainted.kitchen Martin Guest, Traditional Painter for the West Midlands. 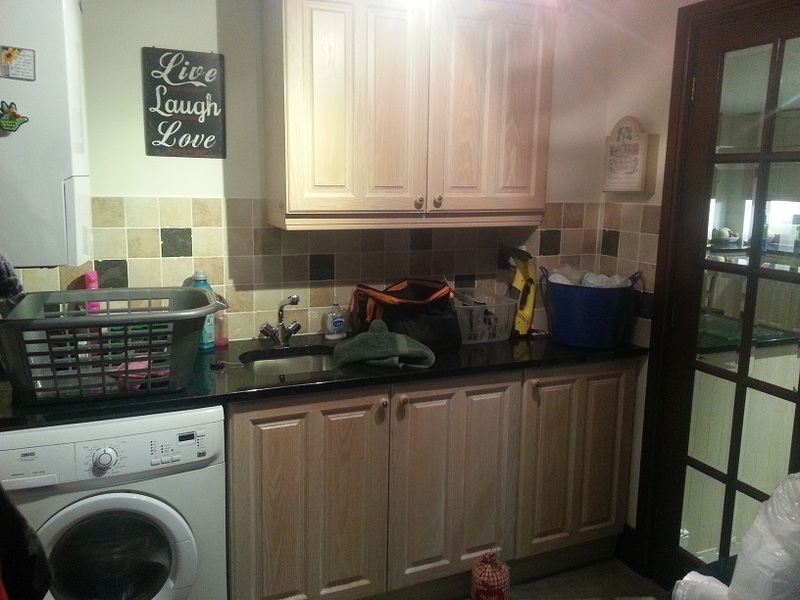 This entry was posted in Uncategorized and tagged Hanbury, Hand Painted Kitchen, Pegaprim Isofix, Tikkurila, Tikkurila Helmi, Traditional Painter, West Midlands, Worcestershire on February 15, 2015 by mjguestltdblog.